Containerized desalination’s low noise and small footprint allowed Fluence to install a plant in a residential neighborhood. 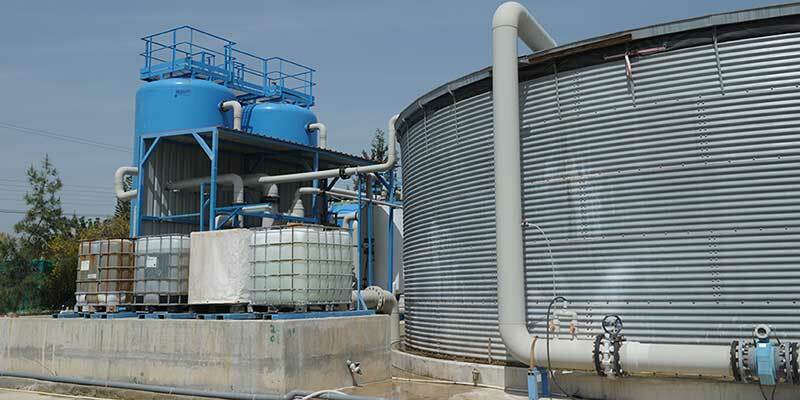 Fluence addressed an increasingly severe water shortage in the city of Limassol in Cyprus by building a containerized brackish water reverse osmosis desalination plant that produces 10,000 L/d of high-quality purified drinking water, which complies with all requirements of WHO drinking water regulations. The city of Limassol in Cyprus was experiencing an increasingly severe water shortage, with regular cuts in water service. The groundwater in the local aquifer was unfit for human consumption, and the growing population and expanding tourist industry was placing extra pressure on the existing water supply. A significant potential water source for the city was the Garillis aquifer, which is located in a residential area. Its water was not suitable for human consumption due to high levels of salts and nitrates. The Cyprus Water Development Department (WDD) awarded Fluence a Build-Own-Transfer (BOT) contract to implement a cost-effective solution to relieve the water shortage without disturbing the local population. The aquifer’s location in the middle of a neighborhood meant limited land was available for the plant, and the equipment couldn’t be noisy. Because production of drinking water was the goal, the finished product had to adhere to very strict quality demands. Remineralization had to be accomplished using the minimal amount of chemicals. At the facility, the water passes through pretreatment multimedia filters and 5-micron filters before undergoing two-stage brackish water reverse osmosis. Minerals are added to the reverse osmosis permeate to prevent corrosivity and to improve taste. Calcite filters are used to correct permeate water conductivity, and the water is chlorinated. Waste is disposed of via the local sewage system. The plant was completed in record time, five months from order to completion. It produces 10,000 L/d of high-quality drinking water without disturbing nearby residents. Pretreatment with multimedia and cartridge filtration, reverse osmosis, remineralization.